USAA has launched a pilot program in Colorado that gives rideshare drivers the opportunity to sign up for a policy that extends their existing USAA coverage and deductibles and provides enhanced coverage the moment rideshare application is turned on until to the moment they are hired to pick up a customer. 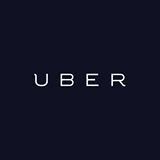 This interim phase of the rideshare process, when a driver is technically on the job or driving to the job, but not yet connected with a customer, has proven difficult to resolve in terms of liability and exactly who is responsible for coverage, the driver or the rideshare company. Commercial use of a personal vehicle may void personal insurance policies in the event of an accident and TNCs don’t want to foot the bill for drivers that aren’t technically “working” for them en route to a specific customer. Many drivers wait in their living rooms or at coffee shops to be hired. “It (the pilot program) covers that gap,” said Jesse Mata, USAA product management director based in San Antonio. USAA’s pilot policy will act as the primary insurance during this “unmatched phase” of ridesharing, Mata explained. 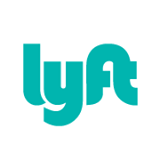 USAA is not the first insurance company to work with rideshare, but it is one of the first major companies to begin to experiment with a new product to cover ridesharing. According to USAA, the pilot policy costs about $6-$8 more per month, or roughly $40-$50 more for a six-month insurance policy. The insurance question has been around for as long as Uber and Lyft have been around. It’s come up in all of the city debates about making Uber and Lyft legal to operate as vehicles for hire, and was a particular point of contention in San Antonio. It will be interesting to see how this plays out in Colorado, and at what point the question gets revisited here in Texas if it is a success up there.